When bushels of fresh corn arrive at your local farmers’ market, you know summer is in full force! And as addictive as eating corn on the cob can be, the sweet kernels are delicious in all kinds of dishes. 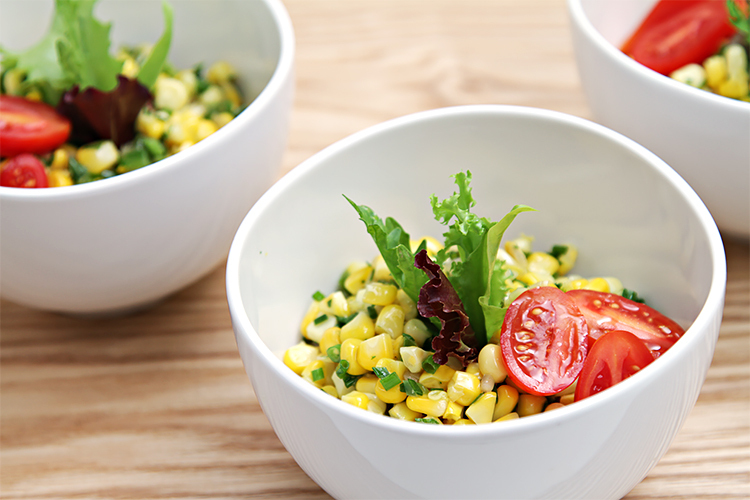 This corn salad is all about the succulent sweet corn! The kernels are sautéed for a few minutes to soften them and extract their sweetness, while jalapeño peppers are added to impart a little heat and smokiness. 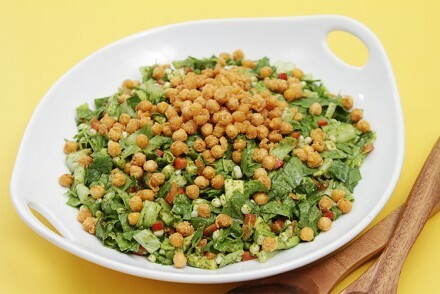 Then, just before serving, loads of fresh herbs are tossed in to bring a wonderful freshness to the salad. 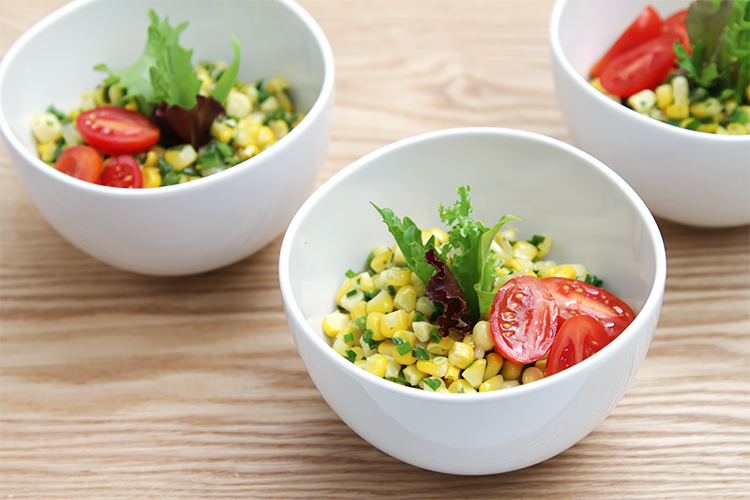 This summer corn salad is a fantastic first course, but it also makes a tasty side dish. 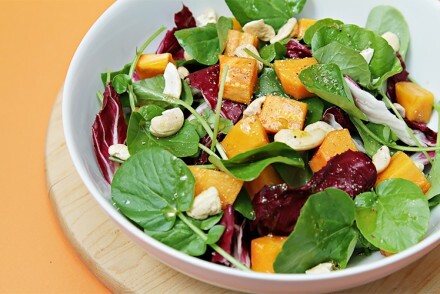 A medium- to full-bodied aromatic white wine with citrus notes is perfect with this spunky salad. Pour an Albariño from Galicia in Northwestern Spain. The wine’s inherent floral, blossomy and citrus aromas are magnificent with the sweet corn and the lime-infused oil. 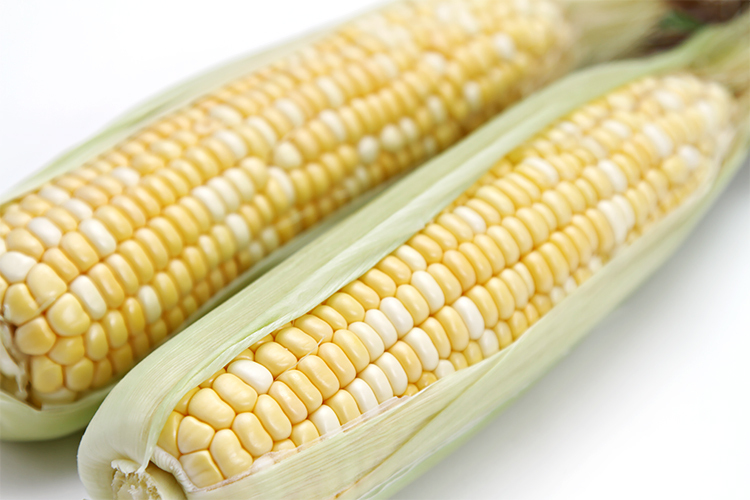 Step 1: Using a very sharp chef’s knife, or a serrated knife, shave the kernels from the cobs. (You should have about 3 cups of kernels.) Transfer to a bowl and set aside. Step 2: Heat a large heavy-bottomed skillet over medium-high heat. Add the oil and shallots and sauté for 2 minutes until softened, stirring from time to time. Add the jalapeños and sauté for another 30 seconds. Add the corn, stir well and continue sautéing for 3 minutes. Season with the salt, stir well and transfer to a bowl to cool to room temperature. Once cooled, add the chives and Italian parsley. Stir well and set aside. Step 3: Divide the corn salad into four salad bowls. Take a few leaves of baby lettuce and arrange them in a small bouquet. Plant them upright in the center of the corn salad. 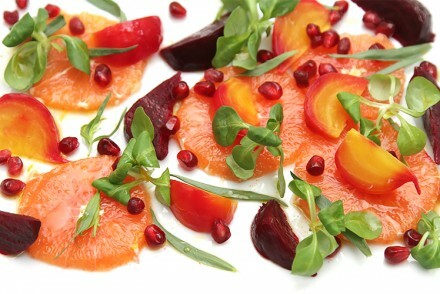 Garnish each salad with 3 cherry tomato halves. Drizzle with a little lime-infused oil and serve. Jalapeños are unpredictable little peppers! Sometimes they’re so mild that you can’t taste their heat at all, but sometimes they can be quite spicy. If you are sensitive to spice and don’t want to take any chances, cut the jalapeños in half, remove all the seeds, and taste the tip of the peppers. You will get a good gauge of their spiciness that way. Also remember that when you cook them, the peppers will mellow and lose some of their heat. Between what is in the refrigerator and the garden, I have all of the ingredients for this awesome salad. Can’t wait to make it. Thanks!!! You are most welcome, Mj… Enjoy! This is so simple yet loaded with freshness and flavours!